As the Volkswagen Group prepares to commonize more parts and technology in as many as 3.5 million small and mid-sized cars, CEO Martin Winterkorn vows the company's cars will remain "completely different." BERLIN -- Volkswagen AG will kick off its biggest technology overhaul in almost two decades when Europe's largest carmaker revamps the Audi A3 next year. The compact Audi will mark the first of more than 40 models that will use a set of standardized components such as axles, steering columns and chassis. Sharing parts across brands such as VW, Skoda and Seat may lower costs by 5 billion euros ($6.5 billion) a year, even as it risks a repeat of recalls that hobbled Toyota Motor Corp., analysts said. "If something goes wrong, then one may get hit by an epidemic plague," said Christoph Stuermer, a Frankfurt-based analyst with IHS Automotive. "The more connected the structures, the higher the threat of contagion." The technology, which is targeted for use in as many as 3.5 million small and mid-sized cars a year, will help Volkswagen's plan to become the world's biggest and most profitable automaker by 2018, surpassing Toyota and General Motors Co. The manufacturer estimates it will lower production costs 20 percent and cut assembly times 30 percent. VW's approach is more aggressive than the parts sharing that has become standard in the auto industry. BMW AG said it will lower the cost of building the best-selling 3-Series sedan, which hits showrooms in February, by 7 percent to 9 percent by using components from the 1-Series compact and midsize 5-Series. The technology will provide the basis for VW models stretching from the Polo subcompact to the mid-sized Passat, representing the bulk of the automaker's sales. The company will be able to produce cars from different brands at the same plant. Volkswagen is not planning to close any factories or fire workers and instead said it will save money by making the process of building cars simpler and faster. "There'll be many benefits, including shorter assembly times and increased flexibility," said Ulrich Hackenberg, VW's development chief. "We're creating a system that enables us to produce vehicles based on this architecture at any factory." The initiative marks the biggest technology overhaul since Ferdinand Piech, chairman and former chief executive officer, pushed the company to use common underpinnings in the early 1990s in an effort to cut losses. The manufacturer has set aside 62.4 billion euros in its rolling five-year budget to invest in plants, vehicles and development. "The parts-sharing program is a very big lever to improve profitability that other companies don't make use of" because of the complexity, said Juergen Pieper, an analyst with Bankhaus Metzler in Frankfurt, who estimates that the technology will save 5 billion euros by 2016. "Without this cost-cutting program, margins wouldn't likely rise" from this year's peak. Volkswagen reported an operating margin of 7.7 percent through the first nine months of 2011 and has a goal of lifting that to more than 8 percent by 2018. Margins could average about 6 percent without the new vehicle architecture, said Pieper. Toyota demonstrated the problem of sharing parts starting in 2009 after defects spread across models and to the Lexus brand. The manufacturer recalled more than 8 million U.S. vehicles following claims of defects and incidents involving unintended acceleration. Toyota paid $48.8 million in U.S. government fines for the way some of the recalls were conducted, the largest ever by an automaker in the United States. 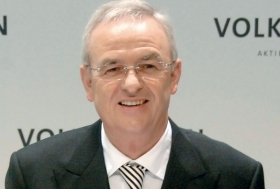 VW expects to avoid these stumbles and maintain quality, said Hubert Waltl, production chief for the VW brand. "Risks exist when you undertake far-reaching improvements, but the implementation process is manageable," said Waltl in an e-mail response to questions. Volkswagen declined to comment on financial aspects of the shift. The new compact car architecture is more flexible than previous platforms, allowing VW to build models with different height, width and length. The technology will be rolled out first at German factories in Wolfsburg, Zwickau and Ingolstadt next year. Adjusting assembly lines may cost VW between 50 million and 500 million euros per factory, IHS's Stuermer said. The emphasis on sharing underpinnings with VW, Skoda and Seat poses a risk for Audi by potentially diluting the brand's image as it competes with BMW for the luxury-car lead, said Ferdinand Dudenhoeffer, director of the Center for Automotive Research at the University of Duisburg-Essen. Volkswagen said it will guard against that. CEO Martin Winterkorn has said that the company's cars will remain "completely different."